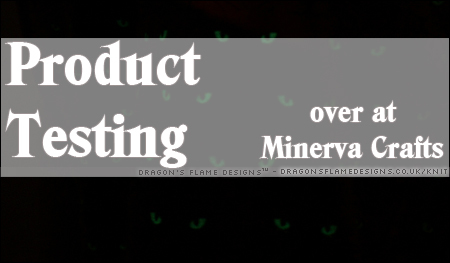 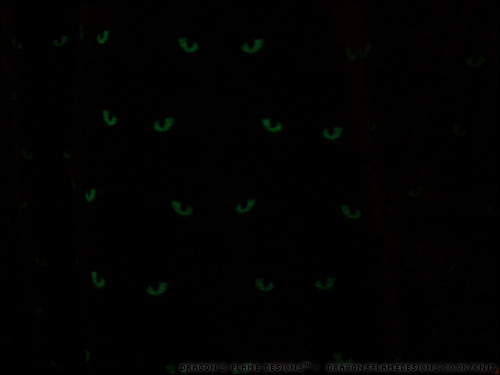 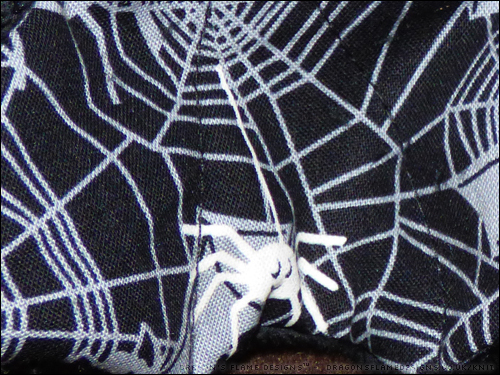 A month or so ago, I was browsing for sewing inspiration when I came across this glow in the dark fabric. 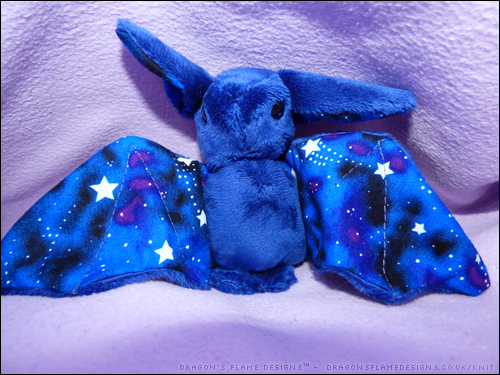 I wasn’t too sure how well it would actually glow, but I thought it would look great paired with some blue “minky” to make a bat. 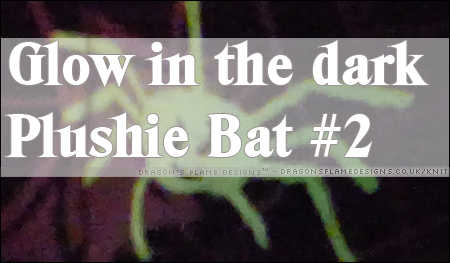 Using the bat pattern from BeeZee Art again, I marked out the pieces on the fabric using a white pen, as I felt that would be easier than using chalk. 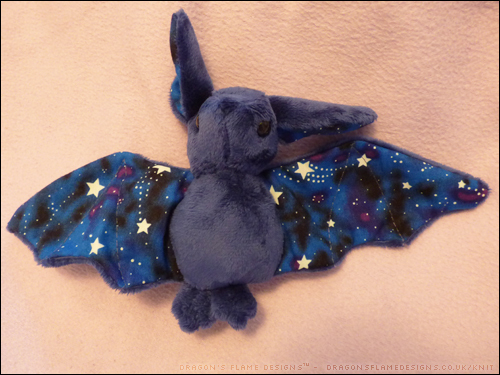 This is the first time I’ve tried sewing a bat from this pattern with “minky”, and although it has a tendency to slip and slide while I’m sewing, I think this bat is much better than my first attempt, which used regular fleece. 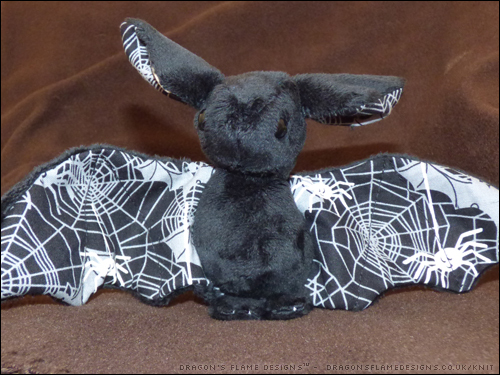 There are a couple of elements that could have been sewn slightly more accurately – my bat does look like he’s got one foot standing on the other, but that just gives him character. 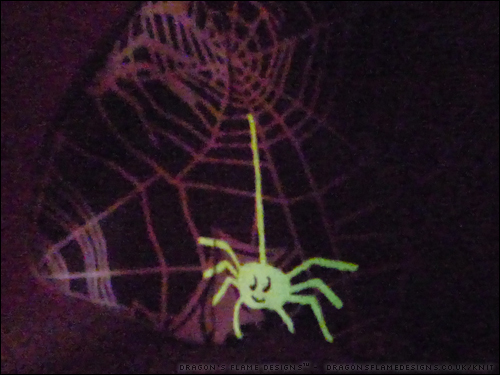 And to make him really special, those stars actually glow in the dark! 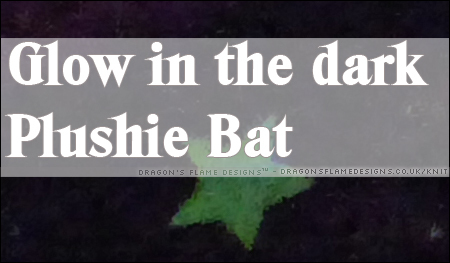 This entry was posted in Plush, Sewing and tagged Bat, BeeZeeArt, glow-in-the-dark, glowing, minky, plushie, toy on July 25, 2017 by Sewist.